It is with great sadness that we announce the closure of World Bingo Network and all its sites. We will close our doors on May 27, 2011. A challenging environment and circumstances beyond our control have made it impossible for us to continue operations. It is our intention to ensure that all players are taken care of and deposits refunded at the earliest possible time. We have fond memories of great people, wonderful staff and fun times while they lasted. Sad that WBN shut-down! I believe staff knew the site was in trouble but continued to string the players along for months by accepting deposits when they were'nt paying the players they owed. The notice speaks nothing about paying the players that they owe thousands of dollars! When they the site said giving back deposits - the statement is very vague - sounds like the last deposit made rather than saying "players account balances will be honored and paid! Correction~ maybe the statement "that all players will be taken care of" meant they will eventually pay players the monies in their account. What is the bingoplayersunion doing about this? I understood that you were here precisely to make sure that players were treated correctly by illegal US sites!! Are you pursuing the owners who have stolen from US players? ONE thing I want to say is that BPU consists of MANY members... not just staff. What are YOU doing about about pursuing the owners? Do you have any legit complaint? That I am aware of, staff at BPU has none. We do not chase hearsay.. we work with facts and documentation. So, as of the moment I am responding to you, your comments are nothing but gossip and hearsay. Bring us some proof and see what we do with a legit complaint. Can you explain the phrase "illegal US sites " to me? I am sure I do not have a clue what you are talking about. 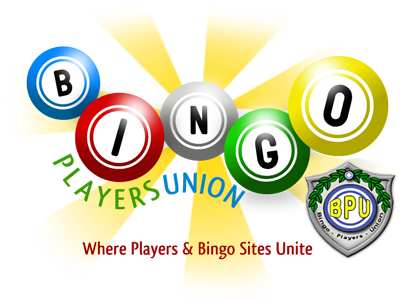 The ONLY thing illegal in the states concerning online bingo sites is the fact that it is illegal for FINANCIAL institutions to allow online gaming transactions within the United States. There are several states where online gambling is illegal, but if folks from those states choose to play, it is their neck on the noose. Bizzlivin, do you have a complaint to put on record here about WBN owing you monies? If so let get the ball rolling. Are you pursuing the owners who have stolen from US players? We are not the Bingo Police. I agree with Sissy that there is no evidence that anything was stolen. I appreciate the fact that WBN Mgt. Came here and posted their statement. WBN along with other Bingo Sites that allow US Players are all struggling to remain open. The US DOJ has been targeting the Money Processors that keep the Bingo Industry fluid; this is making it extremely difficult, if not impossible for sites to pay their winners. It appears that the DOJ figured out that the Money Processors are keeping online gaming alive and have been actively pursuing them. Quick Tender was their recent victim and because of restrictions they can’t transmit any funds in USD. They are recommending that their customers open a currency account in Euros. This means opening an offshore account. Not an EZ task for most US Players. I’m sure QT along with many Bingo Sites don’t want to withhold US Players funds, but! Because of circumstances beyond their control, have no way of getting the funds to the player. Online Gaming is undergoing a major change. I suspect it will get worst before it gets better. Players are advised that any funds you have at any gaming site are not as safe as they use to be. my money (1283.00) was in my bingo account at wbn not QT. What can be done with that. HI Koala... Email us the communications you have had and let us see what we can do to try to help you. We need screenshots of your account (if possible) as well as to have you forward anything to or from WBN, to us, in order of date. Got them all koala, however the news is not good. I cannot find a working WBN address that does not bounce back to me as undeliverable. This stinks!! They should have paid the players or at least kept lines of communications open so that they keep you updated. The smoozy replies you got shows how important you were to them koala NOT.. so sorry but that is bottom line. We do have all this on record and will not give up, just get ready for a very long fight. Players these kinds of issues are building by the day. Ask yourself just how bad you really want to play online bingo at a site that may close down in the next breath. It doesn't matter where you live, when they are gone, if you have funds in their site you are screwed. We can only hope WBN doe, in fact, go back in business, because we will nail them as soon as they do. Any site can close down at their discretion. Do you trust any of them enough to play at their sites? Not me!